Table, with a base composed of 20 horizontal strips of sycamore secured together in a wave pattern, and a removable glass top. Solid sycamore, with glass top. Coloured sections are dyed. 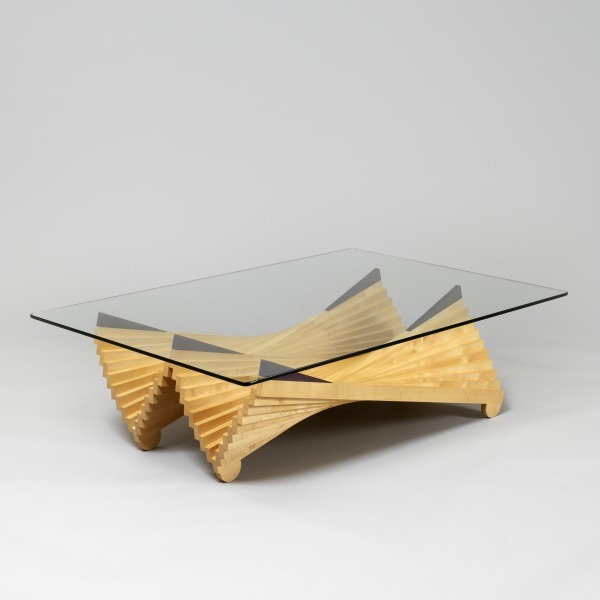 Double Wave Paraboloid Table, Tony McMullen, 1986, Crafts Council Collection: W68. Photo: Todd-White Art Photography.